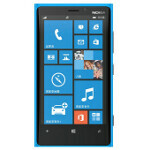 Chinese retailer 360Buy.com, which runs Nokia’s official "Jingdong Mall" shop, sent out a tweet to announce how strongly pre-orders of the Cyan Nokia Lumia 920 have been. Despite the botched English, we can make out enough of the tweet to comprehend that 3,000 units of the top of the line Lumia model (in Cyan) sold in just one hour. Meanwhile, the online store is still offering the Cyan colored Nokia Lumia 920 after the first batch sold out. Those who were lucky enough to get a pre-order in before the inventory was all accounted for, will receive their handset on February 25th. Meanwhile, the remaining phones are still priced at 4599 Yuan ($738 USD) unlocked. Or, you can get handcuffed to China Unicom for two years and get the phone for free. What is it about the Cyan version of the phone that gets Chinese smartphone buyers grabbing for their wallet? Despite the excitement over the device in the country, there are some who believe that the demand is artificial and has been created by a small supply of the model in China. Nokia has something huge at MWC in Barcelona. The lion is coming back to have the crown again. "Samsung adverdise about power and specs and speed" Samsung advertises about other companies/competitors, mocking them. Samsung has no respect for others, so shouldn't deserve it. Ugly Troll...run away, and find another sandbox to ruin! That's less than what LG has been selling over a longer span of time in 2013... 1 per second as per some article on PA. This one is less than 1 per second. As a user of both android and windows phone 7 i think android is still light year ahead in functionality but smoothness on windows phone is uncompromised. Um, Xiaomi phone sold 200 000 online, in one hour, if I'm not mistaken.